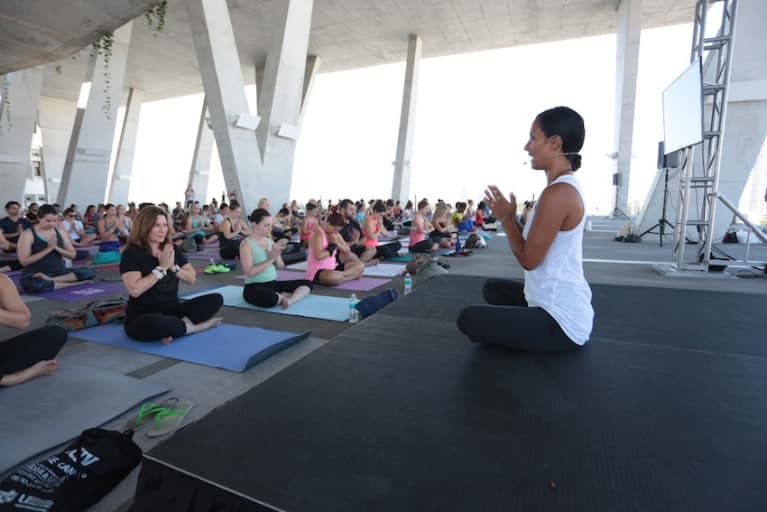 Last week, 300 yogis gathered at 1111 Lincoln Road in Miami Beach to celebrate the summer solstice. 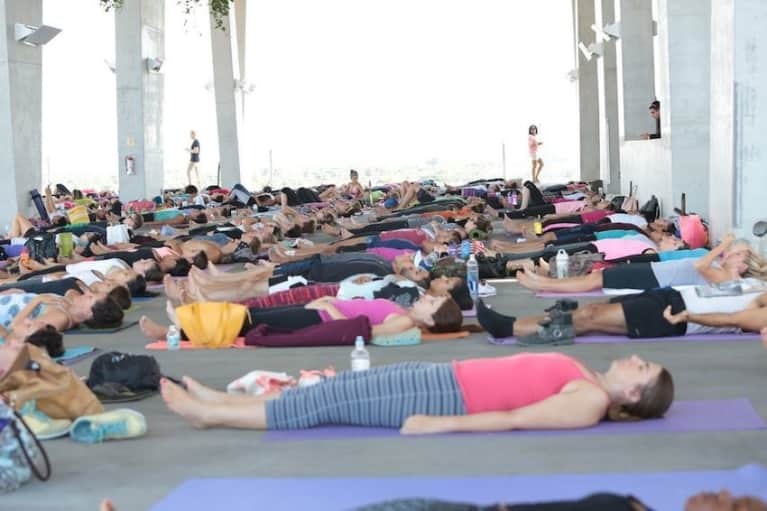 We started the morning with a meditation before heading to an energizing yoga class. 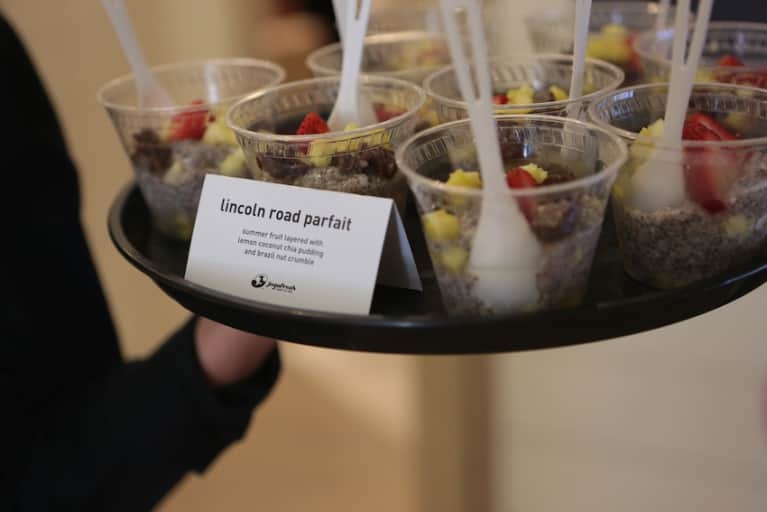 After getting our sweat on, we went down the block to the new Athleta store in Miami Beach to enjoy acai bowls and green drinks. 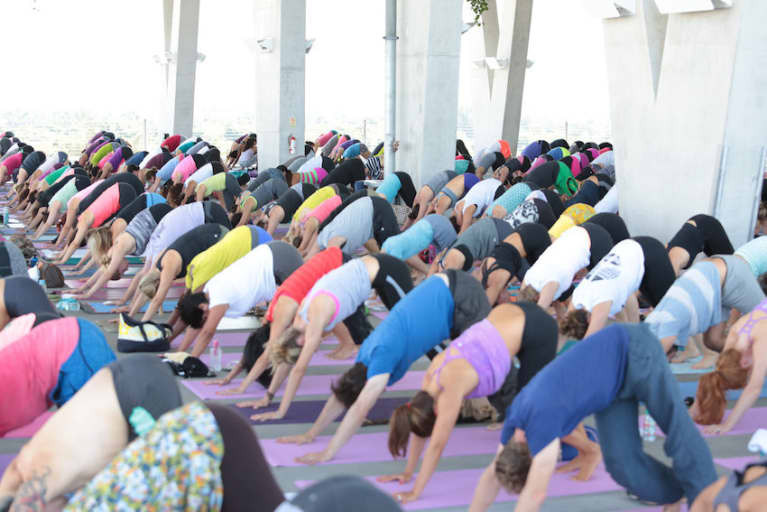 Thanks to our friends at Athleta for making this amazing event possible! Jodi Carey kicks off the day with a mindful meditation. MBG contributors Myk Likhov and Valentina Zelyaeva in meditation. 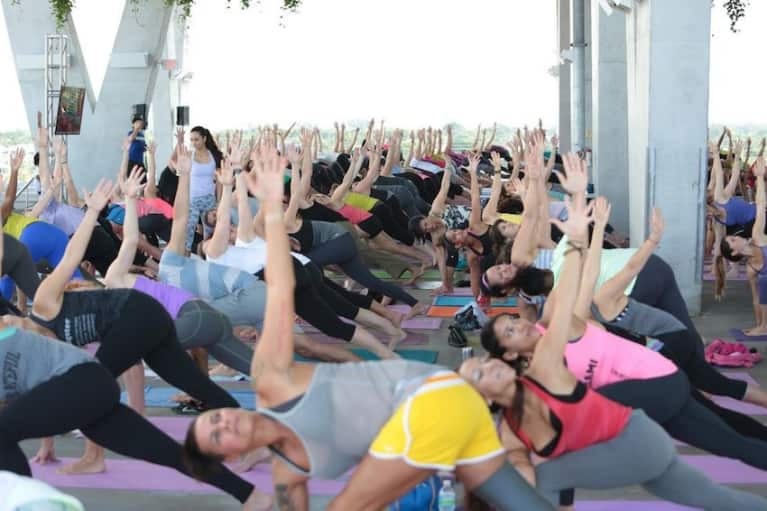 Cat Haayen leads the group in an extended side angle pose. 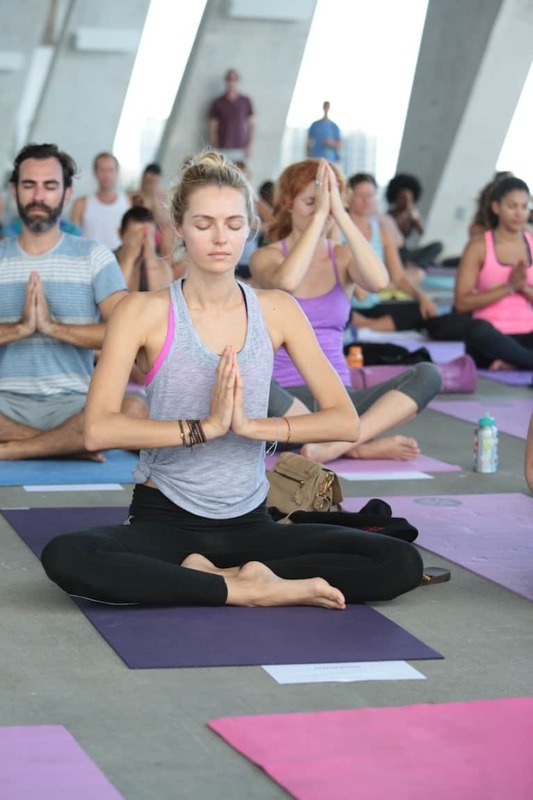 Yogis get deep into their chair pose. Lining up to get into the after-party at the Athleta store. Healthy parfaits chock full of chia seeds and brazil nuts from Jugo Fresh. 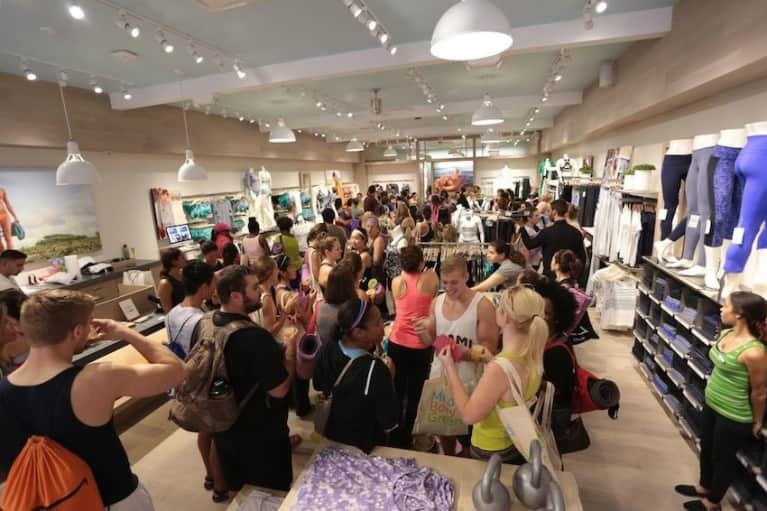 Miami yoga teacher Amy Danheim browsing Athleta merchandise. 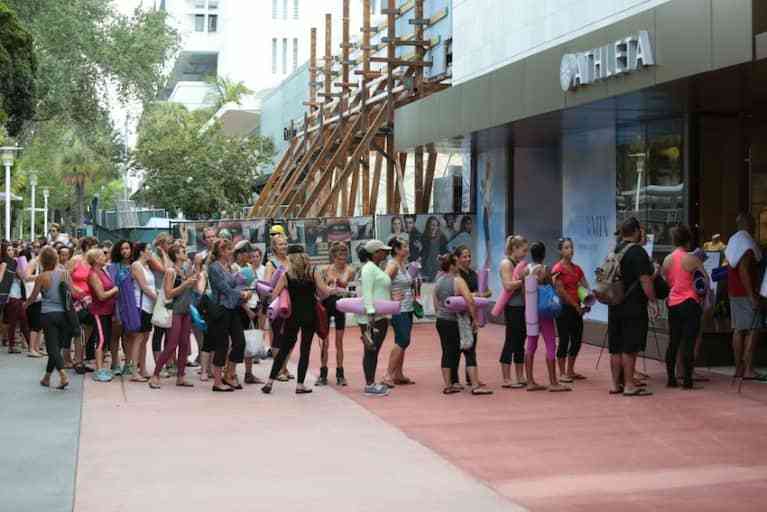 Fitness enthusiasts in the Lincoln Road store welcoming Athleta to the beach.